Our wake up call was early, 3:30am. We rolled out of bed, threw the last of our gear together and headed out the door to meet Joaquin and our driver. 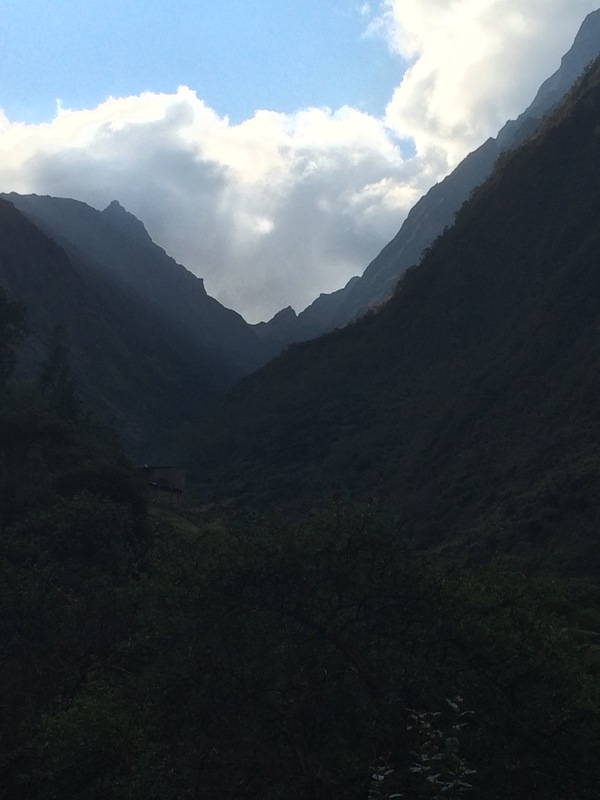 Before long we had ascended out of Cusco and were headed across the dark highlands. Just under two hours later, we started to drop down into the town of Ollantaytambo – where KM 82 (our starting point on the Inka Trail) is located. After a quick breakfast and a stop for supplies and to pick up our porters, we drove down a series of gravel roads to arrive at the edge of the National Park. We were quickly exposed to the kind of service we would receive on our trek as 6 of our porters hurriedly gathered gear and supplies and loaded up their packs! We just tried to stand out of the way and enjoy the views. More on the porters and their role as this blog rolls on, but in short, porters are local men hired to carry everything from tents and kitchen ware, to food and portable toilets, to fresh water and the Trekkers personal belongings along the 45km trail. 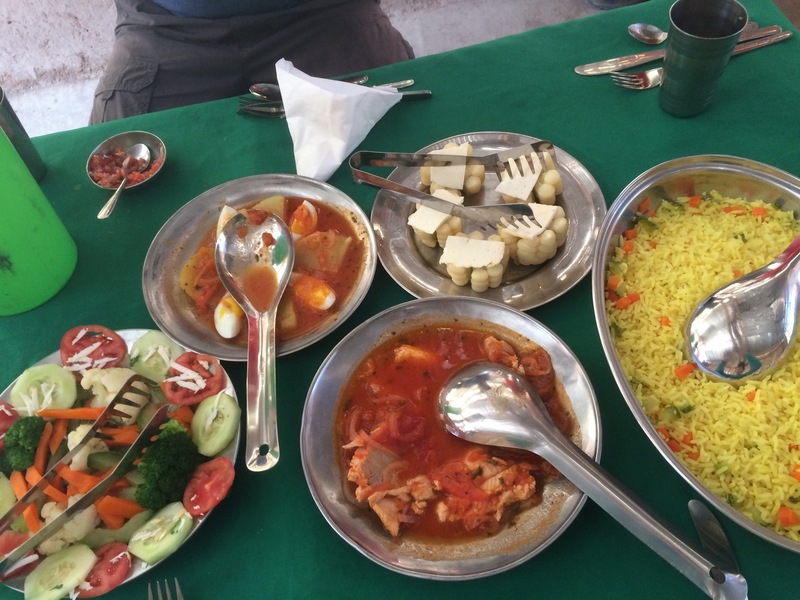 The number per trek depends on the number of travellers, so we had 6, including the chef. I can’t overstate their importance! These guys are the glue that hold the whole thing together! The trek itself begins with checking in at the Park Ranger station at KM 82. The stamp they put in our passports might be the best souvenirs we’ll get the whole trip. 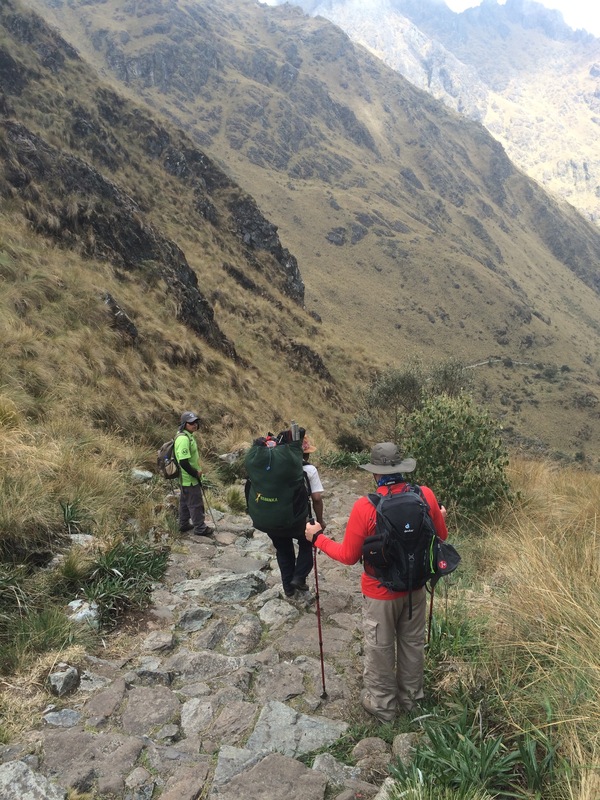 After that, it was a couple hours of easy walking on what became known to us as “Inca Flat” which is to say, small hills and a few dips. Before long, we had come to our first set of Inca ruins at Llactapata! 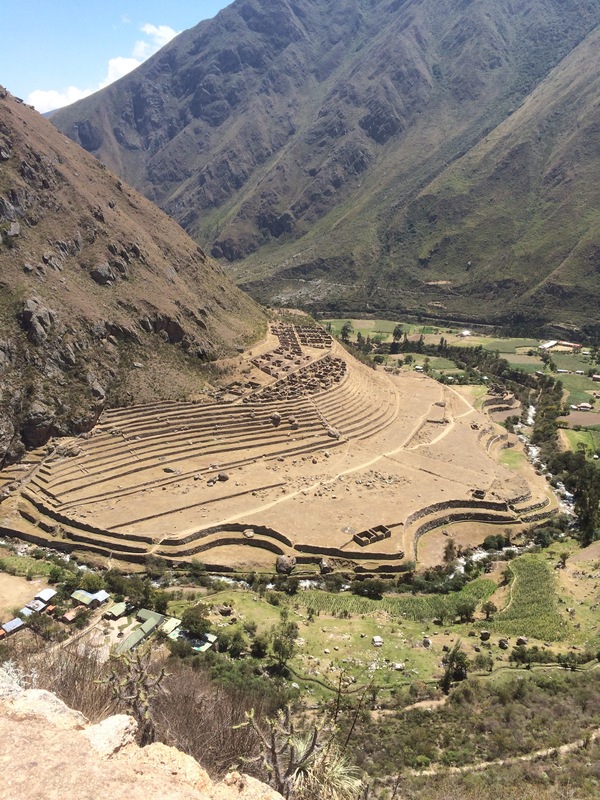 Llactapata was an administrative centre for the Inca. 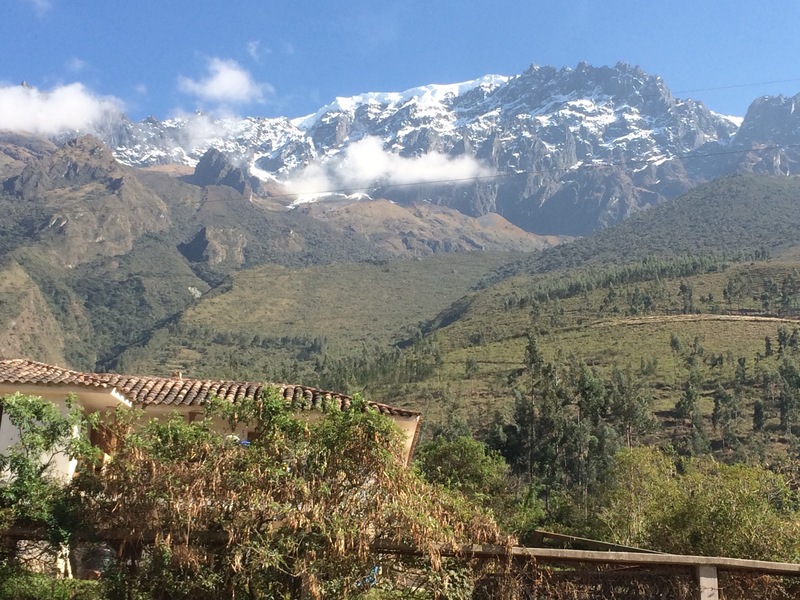 It’s strategic location where a tributary joined the Urubamba river made it a hub of agriculture, trade and governance. It was really great to stop here, enjoy the view and catch our breath as the next few hours were going to be a little more difficult walking. After this stop we began to climb more rapidly. We had lunch at just under 3000m and visited another Park checkpoint at 3000m exactly. Our camp for the night was at 3300m! All of that altitude was covered in about one hour and 30 minutes! Yellow rice, trout, corn with cheese, salad, and potatoes and eggs in tomato sauce! We ate like this at every meal! Fresh made soup to start, entree enough to feed 10, and, at dinner, a dessert! Day 1 ended early! Day two would be a tough one, and the wake up call was at 5:30! We woke up early on day two to depart our camp site at Ayapata. We knew it was going to be a tough day; we’d depart around 6 or 630am, climb for about 2 hours, rest and then make the really tough climb to the summit, roughly another two hours. The first section started out ok. We made excellent time and felt great. We took a rest, grabbed a snack, stuffed our cheeks with coca leaves to help fight the altitude and set off for Dead Woman’s pass. A few minutes into our climb up to Dead Woman, I felt like I was struggling. I popped in my headphones and turned on my iPhone for the first time on the trek. Our guide had told us a lot of people need to do this and I was glad I did. Focusing on something other then the discomfort of the task was helpful. Before we knew it, we were close. 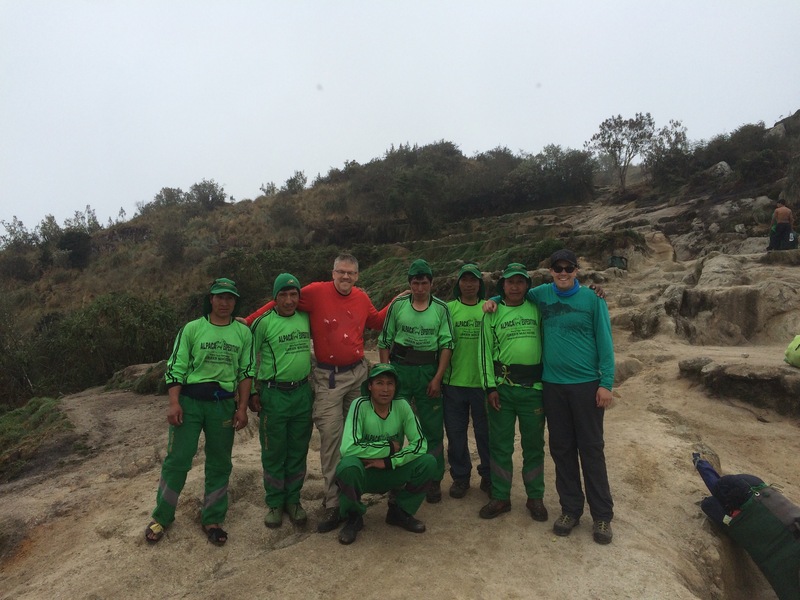 Porters from other companies were clapping and yelling encouragement, “Vamos, Amigo!” Being that close was just the push we needed and we both hit the summit in less than the suggested time of 4 hours! 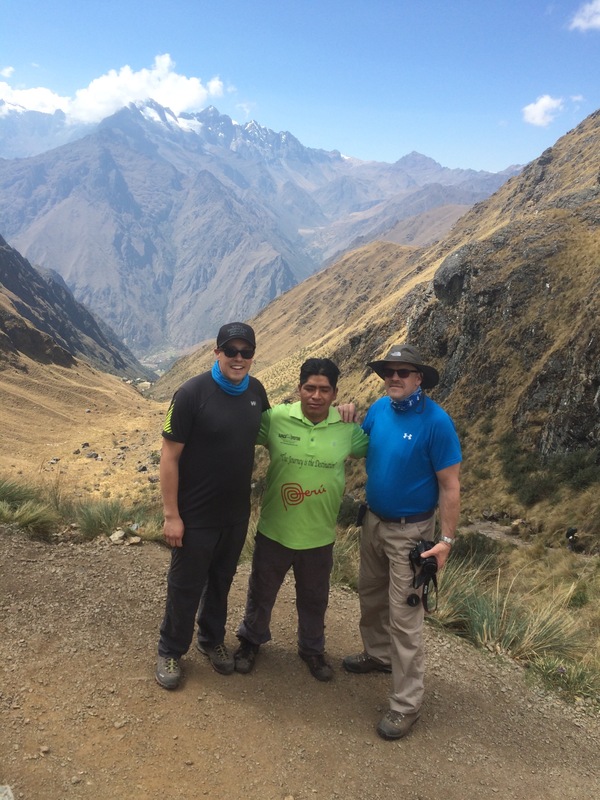 One of our porters, Tito, had stayed behind with Joaquin! He clapped for us, took our photo and then handed us a cup of hot coca tea! Again, think about the logistics of having a cup of hot tea ready for someone at 13,800 feet! These guys were truly incredible. After a quick break we departed back down the other side of Dead Woman Pass. There wasn’t a lot of time for resting on day 2. While every company does the trek a little differently, Alpaca has a very long second day. It’s 16km, 11 hours and a significant day of climbing as you move through two passes. The downhills were easier on the lungs, but harder on the legs. Trekking poles were a must to steady ourselves and maintain our balance. This is where the porters really shine. As we planted our poles and ensured steady footing, porters literally ran past us! After lunch, our guide gave us the good news: we had descended so quickly we were ahead of schedule. He rolled out our mattress pads and let us nap for 45 mins before carrying on. The afternoon climb was shorter, but just as difficult as the morning. It took us about 40 mins to reach the half way point: the ruins of Runkuracay. It took us almost 55 more to go the other half. To put this into context, that’s still really good. The average time is about 1 hour. 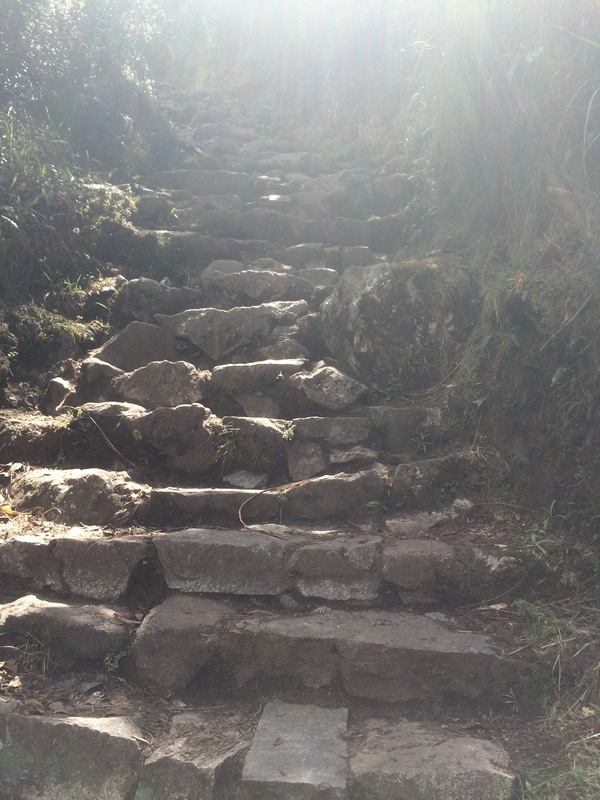 The stairs on the Inka trail are an incredible feat of engineering, but not exactly comfortable to climb. They’re uneven, sometimes slippery and often taller than you wish they were. Reaching the pass at Runturacay marked an important point on the Trek: we were more than half way done, and other than a few small and short up hills, it was, literally, all down hill from there. We spent the evening at the 30km mark, Choquicocha, after a quick stop at another set of ruins called Sayacmarka.